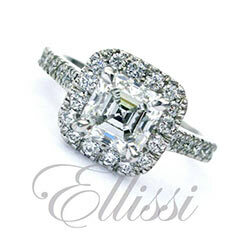 The Rosalia diamond band is a 3/4 set engagement ring with diamond in the central section or varying size, held in random bezel settings. 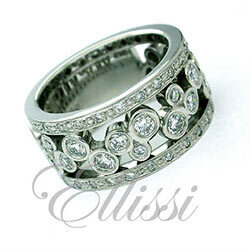 The outer two rims a are grain set with 0.01 pt diamonds. 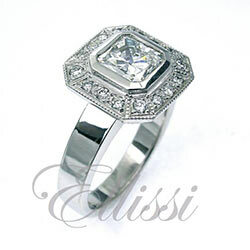 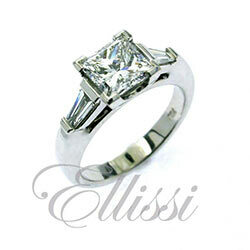 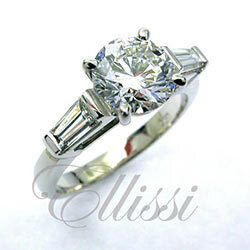 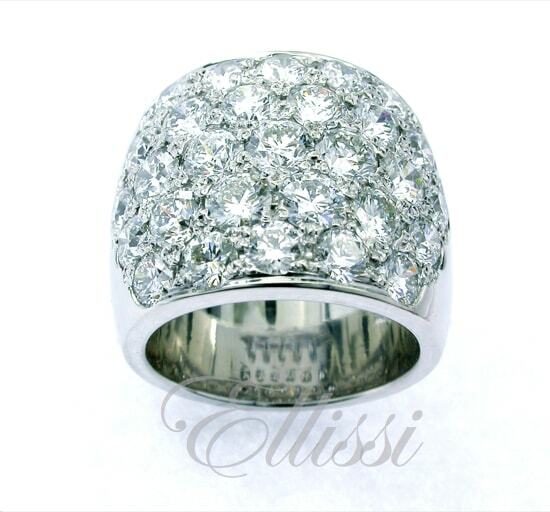 The ring shown here is 18 ct white gold and all diamond content is F/VS. 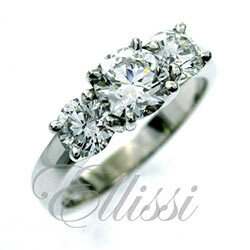 Total diamond weight varies from ring to ring as each is individual. 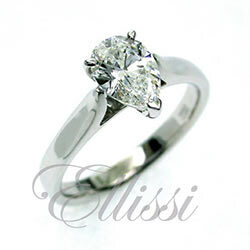 Generally cost is around $5 – 6 k, depending on finger size.